The Neuse River and the Cape Fear River, two of 2017’s Most Endangered Rivers, are constantly being threatened by excessive animal waste stored in floodplains. By removing the existing concentrated animal feeding operations in the floodplain, the threat to our water resources and communities will be reduced. North Carolina’s Neuse and Cape Fear rivers are threatened by untreated animal waste that is stored in the floodplains of the rivers and can be washed into the river during flood events like what occurred after Hurricane Matthew in 2016. Over the next few weeks, we’ll introduce you to a series of posts that explore different aspects of the Neuse River and the Cape Fear River, #7 rivers on the list of America’s Most Endangered Rivers® of 2017. 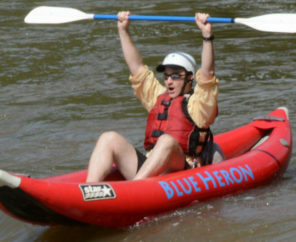 The main stem of these rivers tend to be broad flowing rivers with limited whitewater ideal for easy paddling trips and observing the landscape surrounding them. The rivers drain a watershed that is about 15,000 square miles and have nearly 10,000 miles of stream amongst them. More than four million people in North Carolina get their drinking water from the rivers, including the growing cities of Raleigh, Durham, Fayetteville, and Wilmington. 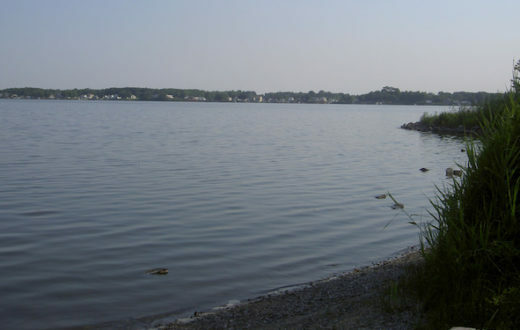 In addition, the estuaries of these two river systems play a large role in the economically important seafood industry, accounting for more than 90 percent of the commercial seafood species caught in North Carolina. 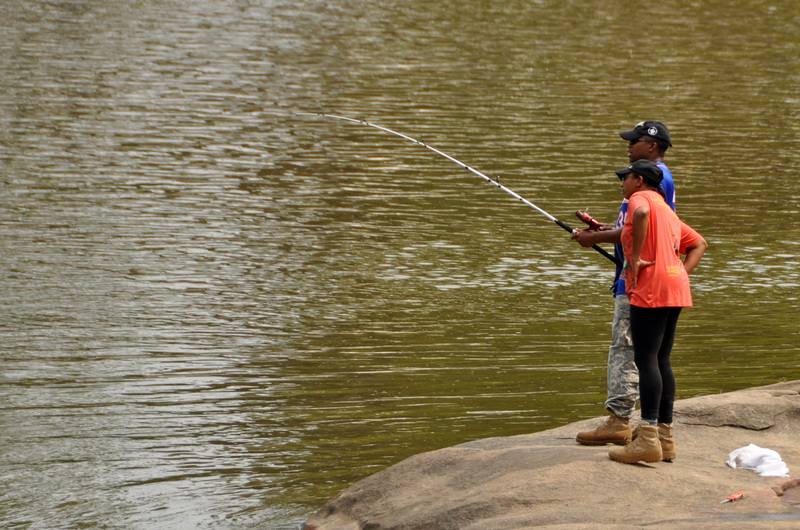 The Neuse and Cape Fear rivers are vital to supporting North Carolina’s $1.7 billion fishing industry. 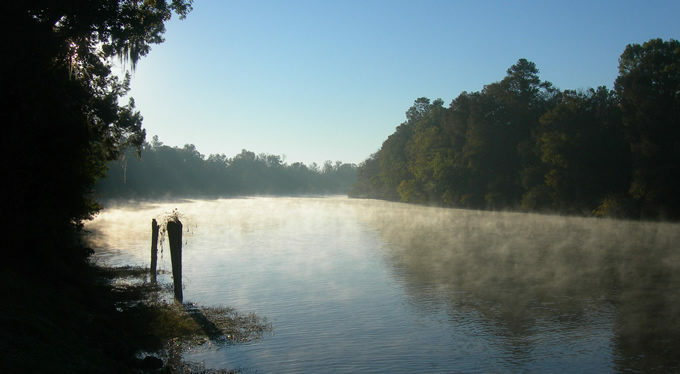 The Neuse River and Cape Fear rivers have suffered for decades from harmful algal blooms due to excessive amounts of nitrogen and phosphorous. While this pollution has many sources, the most prominent are human and animal waste and stormwater runoff. In the wake of Hurricane Matthew (2016), one of the greatest successes and tools for protecting the health of the rivers from nutrient pollution was realized — eliminating animal waste lagoons and piles from the 100-year floodplain. North Carolina is the second leading producer of hogs and the third leading producer of poultry in the country. Much of North Carolina’s animal production occurs in the Neuse and Cape Fear watersheds. Hundreds of millions of gallons of wet animal waste from these operations are held in open lagoons, and tons of dry waste is piled in fields near the concentrated animal feeding operations (CAFOs). 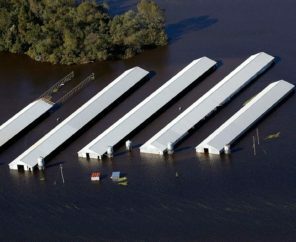 Within the 100-year floodplain of the coastal counties, 62 swine CAFOs house more than 235,000 hogs and at least 30 poultry CAFOs house over 1.8 million chickens and turkeys. There are 166 open-air waste pits directly within the 100-year floodplain, and another 366 within 100 feet of the floodplain. 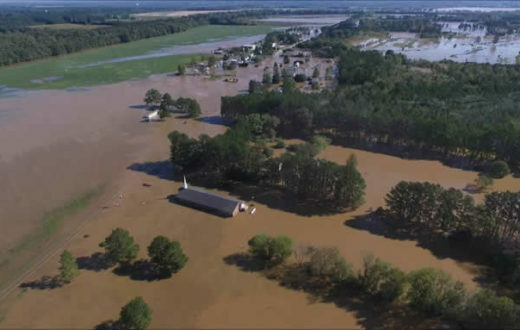 The flooding from Hurricane Matthew in Craven, Duplin, Green, Jones, Lenoir, Pitt, Sampson, and Wayne counties, partially submerged 10 industrial hog facilities with 39 barns, 26 large chicken-raising operations with 102 barns, and 14 open-air pits holding millions of gallons of liquid hog manure, releasing untreated waste directly into the rivers. There is a simple and commonsense action that can be taken to reduce the threat to our water resources and communities — remove the existing industrial CAFO facilities from the floodplain. 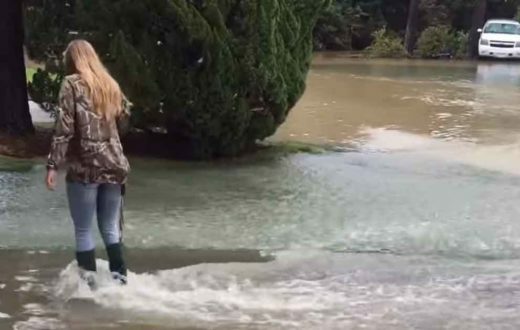 A highly successful program to move waste operations out of the 100-year floodplain was developed after Hurricane Floyd in 1999, which was the last major flooding event to impact the rivers. The state of North Carolina spent $18.6 million to close 42 swine facilities with 103 waste pits. 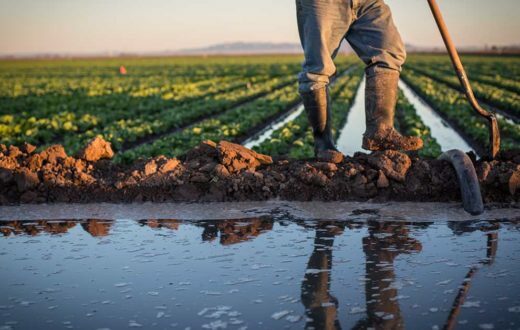 The program has run out of funding and there are no other viable funding options for farmers to move their waste operations out of the floodplain. 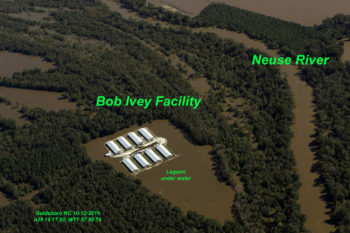 There are 92 CAFOs and their associated waste operations within the floodplain that need to be relocated to protect the health of the Neuse and the Cape Fear. 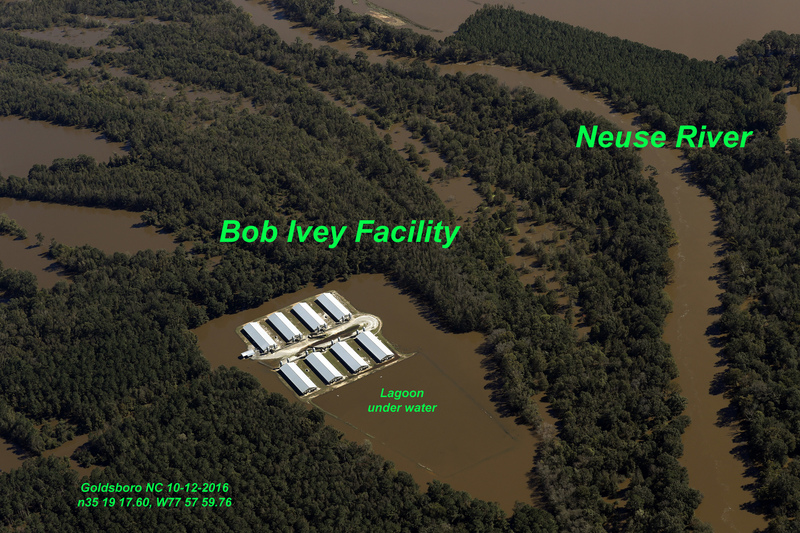 It is time to restore the Swine Buyout Program and include language expanding it to all CAFOs in the floodplain as part of the Hurricane Matthew recovery package. Please join us in asking the Commissioner of the N.C. Department of Agriculture and Consumer Services, Steve Troxler, to champion the protection of this vital natural resource and protect the investments of family farmers by pushing for full funding of the floodplain buyout program. If the EPA Doesn’t Hold Stormwater Polluters Accountable, Who Does?